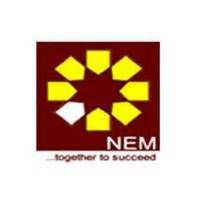 NEM Insurance Plc has recorded profit before tax of N1.77 billion for the reporting year ended December 31, 2014, while that of the previous period was N544.4 million, a leaping increase of 224.5 per cent. The parent company’s contribution was N1.74 billion, and also a leaping increase of 243.3 per cent over that of the previous year which was N506.9 million. The Chairman of the company, Adewale Teluwo, addressing shareholders at the 45th yearly general meting in Lagos, said that the company recorded a very good performance during the year under review even though the country’s economy experienced a decline towards the end of the year. According to him, the gross premium recorded by the group in the year under review was N9.8 billion as against N8.9 billion generated in the preceding year; an increase of 10.1 per cent. For the parent company, while the gross premium recorded for the year was N9.4 billion, that of the preceding year was N8.3 billion, an increase of 14.4 per cent. He said that an investment income of N607.8 million was generated by the group during the year under review, while N445 million was generated in the preceding period, an increase of 36.6 per cent. The parent company’s contribution was N560.3 and 41.2 per cent increase over the pervious year which was N397 million. He explained that the group financial assets for the period under review was increased by 20.4 per cent over that of the preceding year. The resultant effect was the increase in investment income. That of the parent company also was increased buy 22.8 percent. The group total assets and total equity increased by 11.5 per cent and 24.9 per cent respectively; while those of the parent company increased by 14.0 per cent and 25.9 per cent respectively. He said “Consequent upon the good performance of the company during the period under review, the board is recommending a dividend of six kobo per share. The board is working on building a reasonable reserve to enable the company increase its share in the lucrative oil and gas business”.